It is not unusual to regard your car as a close friend. You spend a lot of your time with it. You share some wonderful experiences with it. It is there when you need it. And you know you can rely on it… well, most of the time. There comes a time in the relationship of every car owner and their car when things go awry. This crisis usually takes the form of a less than the cooperative door which remains insistent to stay locked and which causes its owner immeasurable amounts of frustration and helplessness. Exactly for such instances, and any other car lockout situations anywhere in Richmond California we are here, always. 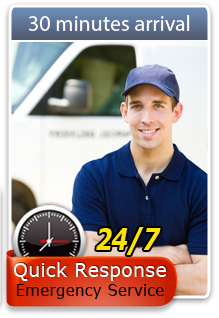 Whenever you need us in Richmond Californiawe are always here for you, that is 24/7 availability. Constant availability: we hate for you to wait! This is precisely the reason we operate a 24/7 available call center that offers extremely short response times. For every car and its problem, we have the solution: our team of expert locksmiths is familiar with every type, make, and brand of car. We are fully able to offer a professional solution regardless of the vehicle you are driving. Honda, Ferrari, motorcycle, or truck – we will take care of business. Reliable and fast solutions: we will always fix your problem and we will always be quick about it.